Katie Lewis, Ph.D., a research psychologist at the Austen Riggs Center in Stockbridge, Mass., is the recipient of the Robert S. Wallerstein Fellowship in Psychoanalytic Research. The fellowship carries with it a minimum of five years. The San Francisco Center for Psychoanalysis chose to support Lewis’ research on the impact of interpersonal relationships on suicidal ideation and urges. The study will track up to 150 residents of Austen Riggs, a psychiatric hospital and residential treatment program, over a period of two weeks through a smart phone app designed by Lewis’ team. The purpose of the research is to understand how relationships can act as both a protective barrier to or a risk factor for suicidal behavior. New England Psychologist’s Catherine Robertson Souter spoke with Lewis about the grant and the study it will help to fund. First, congratulations on the Fellowship. Robert Wallerstein was a huge proponent of empirical research in psychoanalysis. Suicide has become a major public health issue and it is a major clinical issue for our patients here at Austen Riggs so it feels wonderful to get the support to do this important work, in this setting, and to have it come from a figure in the field who was so important to promoting psychoanalytic research. How will the grant help? We are a small psychiatric hospital and our access to large samples of patients is limited because the care that we provide is so focused. In order to collect enough participants to be able to run the kinds of statistical analysis that we would have to do will actually take three to four years. Having grant funding for the duration helps us focus on the day-to-day practical work instead of having to worry about finding resources. Tell us about the study. In the field of suicide research, the majority of studies focus on the risk and protective factors of suicide, the broad things that are familiar to most people like depression, hopelessness, impulsivity. While that research taught us what might lead a person to be vulnerable to acting on suicidal impulses, it doesn’t get at the level of immediate prediction, who might be at risk on more of a momentary level. Also, what sources of risk might interact with personality factors to really increase the immediacy of danger for a particular individual? Relationships could be looked at as either a risk or a protective factor. A strong relationship could be a great buffer against stress but if relationships are going poorly, they can be a source of vulnerability for people who are feeling suicidal. In our project, we are trying to take all of this into account. Participants fill out questionnaires at the start and give information about levels of depression and any history of trauma they might have, so we have overview of what challenges they may be dealing on a day to day basis. During the study, we have them fill out brief questionnaires about their interpersonal interactions using their smartphones. The questions take a minute or two and ask them to describe their experience of themselves in the interaction; whether they felt that they acted particularly friendly or unfriendly; if they felt like they were taking more of a leadership role in the interaction or if they were being a little bit more passive; if they felt hopeless or burdensome or more anxious. Then, along the same dimensions, (we ask) how they experienced their interaction partner acting. We trace how those dynamics fluctuate and change over time and look at how this impacts mood and how these factors might translate to any presence of suicidal ideation or urges to either do self-harm or any other sort of externalizing behavior that would be problematic. Our hope is to trace whether there are particular interpersonal dynamics that contribute to risk. My personal prediction is that there will be a few different profiles that emerge that are related to overall personality style. For example, people who might be more interpersonally oriented might be more sensitive to ruptures that happen during interpersonal interaction. Are there plans to disseminate the information to clinicians? Within our institution, I give regular feedback and updates to staff about the findings. This is useful not just to communicate to them but also to get their feedback about their impressions and their clinical wisdom about how to interpret the results. We are looking to continue doing conference presentations, getting out in front of broader professional audiences, and I am doing a single page presentation in a few months. We are definitely planning on publishing our results and once we have a larger sample, I would like to find ways to bring it to our local community and different venues, school systems or other people who might be encountering suicidal individuals. Personally, why did you get involved in this type of research? I came to Austen Riggs after my first year of graduate school as a summer research intern and began working with Dr. Jane Tillman, [PhD, ABPP] and she inspired me to shift my focus and get involved in suicide research. I find suicide really compelling as a research topic because it is such a significant public health issue. There has been a lot of research done and it is still not necessarily a well understood topic. There are models for prevention but there is still so much we have to learn. The risk screening tools we have are still asking at a general level. The tools ask about depression and trauma history or hopelessness and these are things that are actually so common in patients seeking mental health treatment that it doesn’t necessarily do a great job at differentiating someone who might be at risk from someone who is not. It is not that these questions are not important to ask but they are not enough. 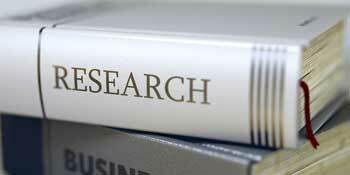 Research has an important role to play in how to refine what questions we are asking. Is there a higher rate of suicide currently or are we hearing more about it? It’s both, honestly. The CDC has a report that came out within the past year showing suicide rates have increased across almost all demographic groups in the last 15 years. I think that there is also more public discussion about it, it is a slightly less taboo subject than it has been in the past. We had a whole blog series talking about how the Netflix production “13 Reasons Why” sparked a lot of discussion. The more the issue is raised the better, but definitely it is also reflective of the numbers rising. There has also been a lot of controversy about how suicide is reported. There are inconsistent ways of reporting suicide as a cause of death from county to county depending on different coroner approaches. Even with national epidemiological studies of suicide prevalence, most will say up front that it is probably an underestimate. What are your follow up plans? I would love to be able to do the study in other settings. University samples or outpatient mental health samples would tell us if our model holds outside a residential setting. Also, we are considering trying to integrate collecting physiological data for people who might have trouble identifying their own experiences of stress and anxiety. We could look at whether the self-report is matching up with physiological signals. But first, we are taking it slow to see what comes out of the study we are doing now. I am hoping that by trying to do fine-grained analysis of how these momentary experiences are affecting people, we will be able to create something that will lead to more specific research studies in the future and create a body of work that will feel accessible and meaningful for both clinical and research audiences.